To bring a cohesive look to your yearbook, your theme should be on the cover, endsheets, and the title, opening, closing and division pages. 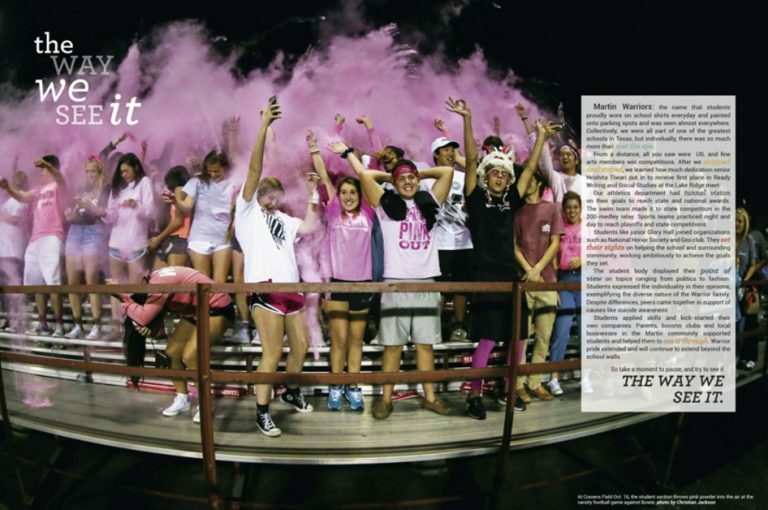 Begin moving your theme beyond the cover with this activity from the “Finding Your Theme” unit of the Yearbook Suite, by Crystal Kazmierski, adviser at Arrowhead Christian Academy in Redlands, California. First, have your students think about design elements to complement your theme (or theme ideas if you don’t have one selected). Students should sketch their ideas for the cover, endsheets and folio. Second, they need to think about word play and graphics for your theme. Have them come up with possible division section titles that would go with the theme. Lastly, they can get together in small groups, or one group if your staff is small, and share their ideas. If it appears the theme concept doesn’t work in some parts of the yearbook, consider revising the concept or starting over.